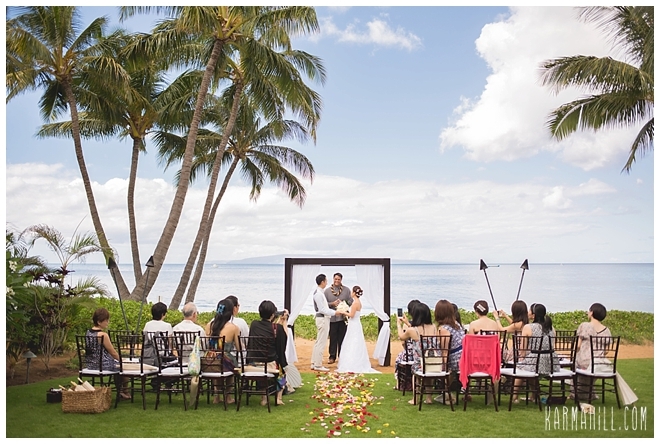 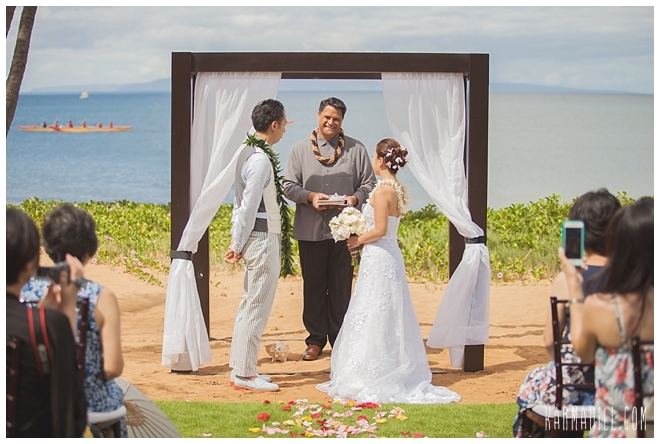 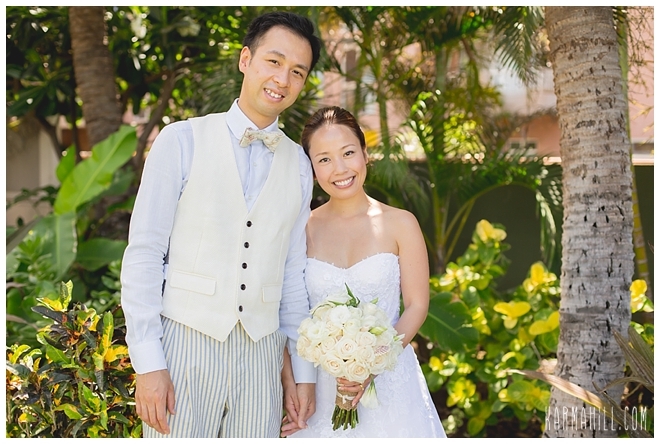 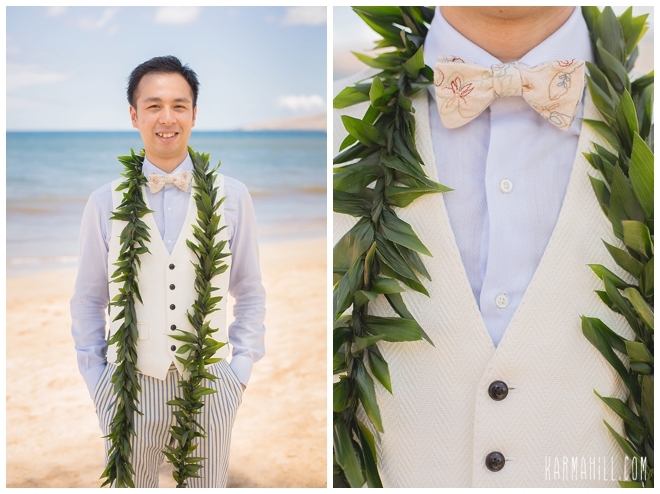 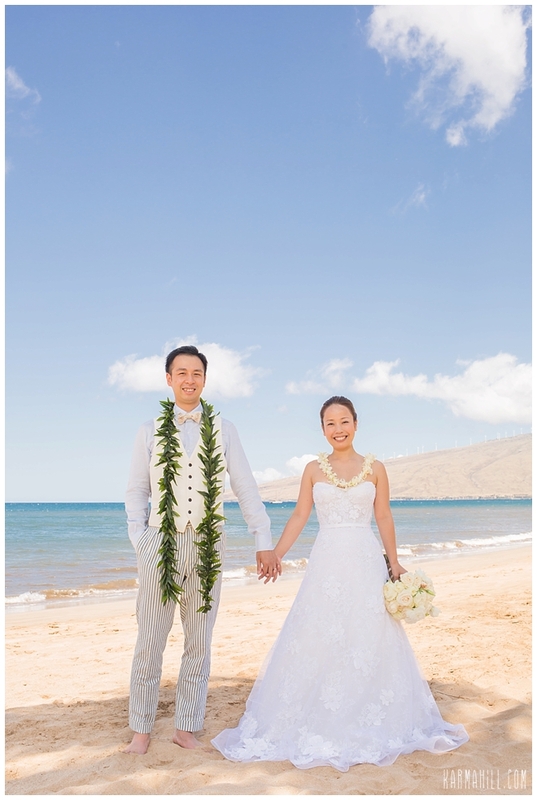 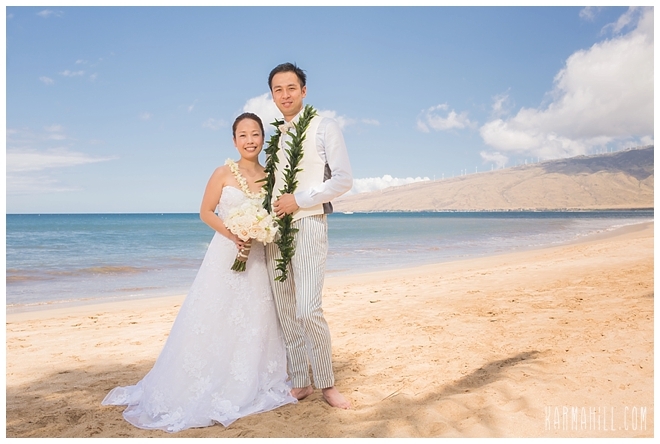 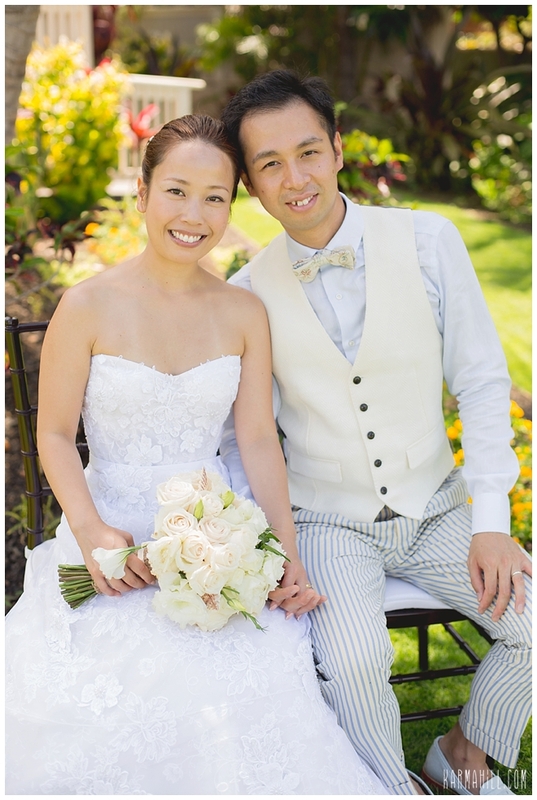 Sayuri & Makoto traveled all the way from Japan for their very special Maui Wedding at Sugar Beach Events. 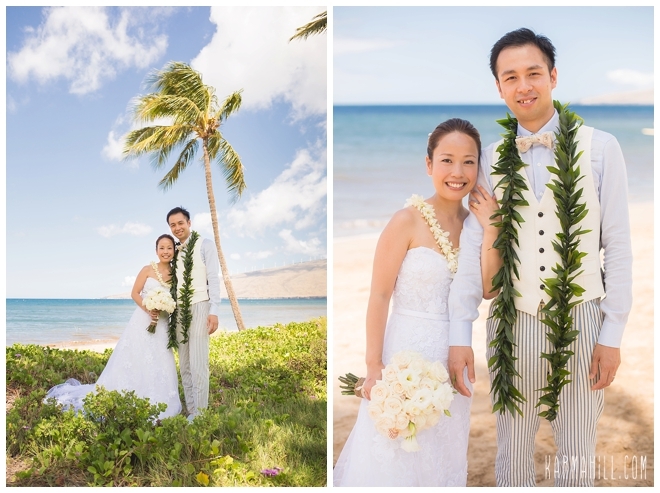 It was a bright and sunny morning, but there was a slight breeze so it was comfortable and the palm trees and paper umbrellas offered some nice shade! 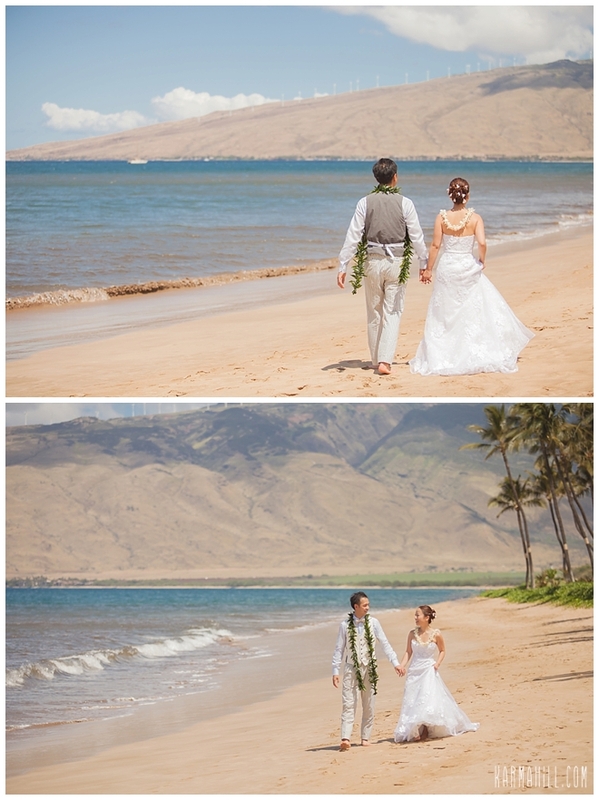 The couple said I do in the sand with the aqua blue water and west Maui mountains as their backdrop. 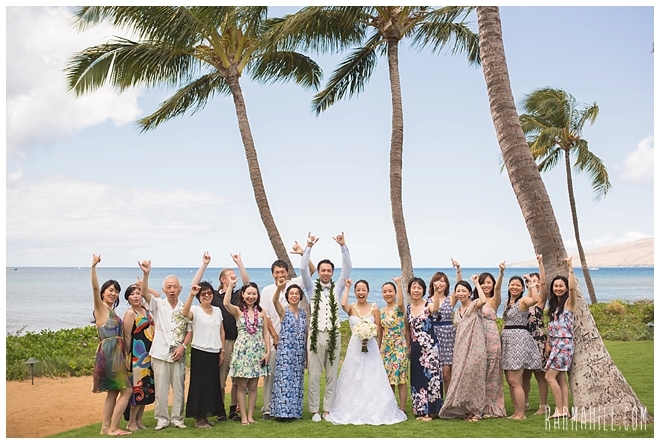 After the ceremony, the couple was showered with love by their family and friends who made the trip to be a part of their wedding day. 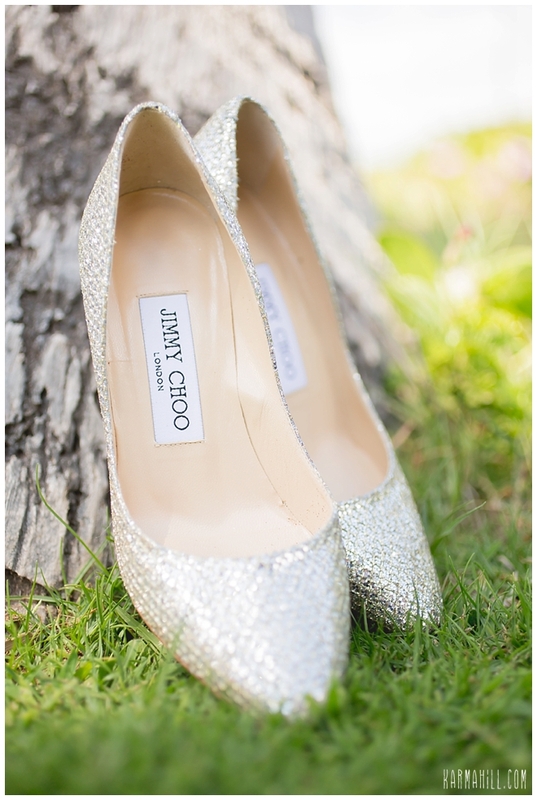 We just loved the groom's stylish attire and the bride looked stunning in her lace gown and sparkling Jimmy Choo shoes! 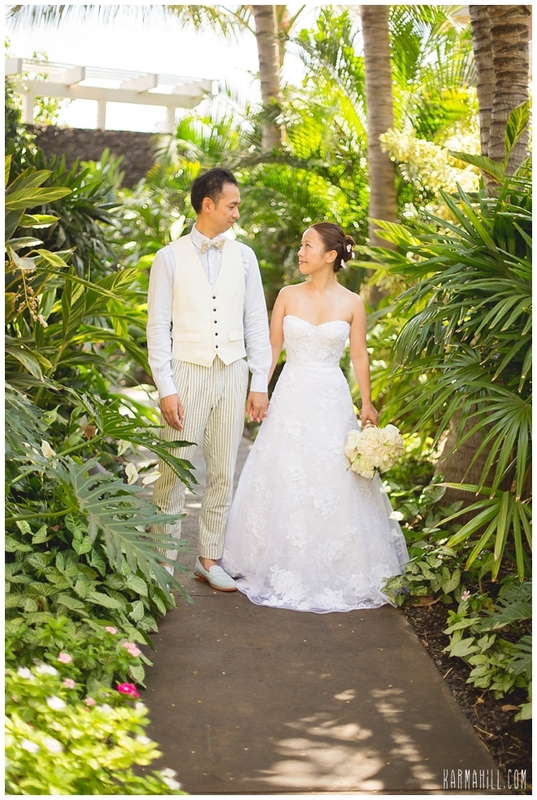 It was such a pleasure to be a part of this beautiful wedding, congrats, and mahalo Sayuri and Makoto!! 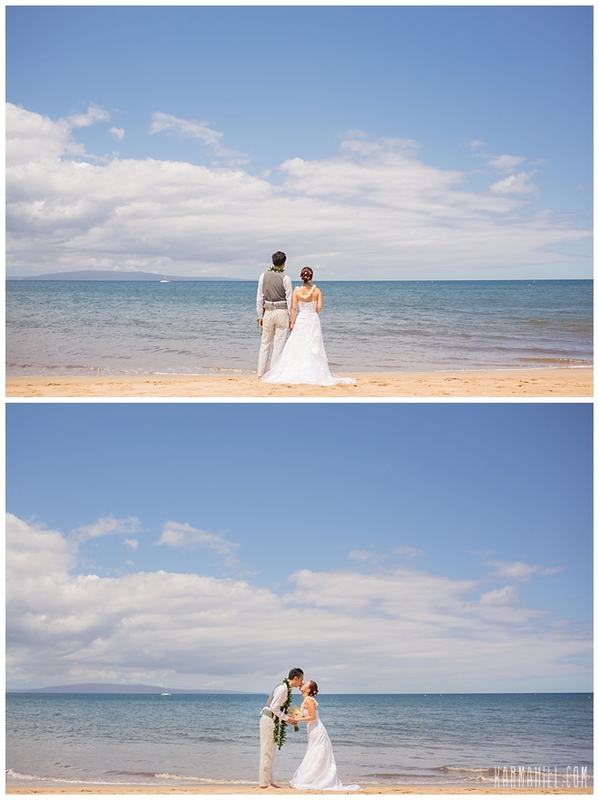 Check out our last venue wedding with Brittany and Zachary!